Because I’m interested in working with reality television, I was most intrigued by Lisa Gitelman’s discussion on the problems of ‘dataveillance,’ or the collection and usage of data from individuals regarding their identities and personal attributes. She questions the ethics of this process in our current age, citing Rita Raley’s examination of those who try to push back with online tools that inhibit the ubiquitous data mining of our contemporary Internet. In ‘Dataveillance and Counterveillance’ (Raley’s chapter in the book for which Gitelman provides the eponymous introduction piece), Raley unpacks the typical argument in favor of allowing passive data mining: a “personalized Internet” is only possible if our individual tastes and preferences are fair game for circulation, and “voluntarily surrendering personal information becomes the means by which social relations are established and collective entities supported” (125). The necessity of trading privacy for inclusion is certainly problematic, and I see it as a specific link to my interest in reality television shows wherein contestants formally trade their privacy (as well as their very power of self-representation) for the benefit of inclusion on a television show and potential financial gain. Raley then introduces the idea of a ‘superpanopticon’ which must necessarily exist to register our interpellation by databases; while this for her is a link to a discussion of ‘corpocracy’ and ‘cybernetic capitalism,’ I identify it for my purposes as a term to describe the reality show institution which mines identity and individual action to construct the desired narrative for commercial purposes. Aiding my consideration of a show like Survivor as one such ‘superpanopticon,’ Raley cites Kevin D. Haggerty and Richard V. Ericson who posit that surveillance “operate[s] through processes of disassembling and reassembling. People are broken down into a series of discrete informational flows which are stabilized and captured according to pre-established classificatory criteria. They are then transported to centralized locations to be reassembled and combined in ways that serve institutional agendas” (127). This is a lengthy excerpt, but I find it so startlingly appropriate to describe how contestants can be treated on reality television shows like Survivor. Contestants’ thoughts and feelings are mined on location through individual interviews known as ‘confessionals,’ which are then transported to a central editing station to be assembled together at the whim of the producers. My initial project idea to explore Survivor confessional frequencies by episode and season draws from this notion (which I could not have stated so well before) that players are mere building blocks in a larger narrative, who can be highlighted or backgrounded as the show desires. After reading Gitelman’s caution regarding the ethics of dataveillance, though, I begin to wonder: Even if I can use the confessional data to learn and expose something about the superpanopticon of Survivor, am I still inescapably guilty of drawing on the identities and representations of others for the alleged benefit of collective knowledge? Though it seems a bit plain to say so, what I appreciate most about Lisa Gitelman’s approach in “Raw Data is an Oxymoron” is her insistence that data are invariably “cooked,” that they come to us “scrubbed” and involved in relations of “friction” (171). I am particularly struck by the latter of these two terms: friction. In her 2005 ethnography of resource development and extraction practices in late 1980s and early 1990s Indonesia (conveniently called Friction), Anna Lowenhaupt Tsing writes that friction both enables and constrains. To be sure, friction slows and inhibits motion, expressing itself as resistance. But paradoxically, it also makes movement as such possible. Without friction, Tsing reminds us, a tire simply spins in the air, propelling nothing at all. Even as friction holds us back, it moves us forward. It sets things in motion, shifts the scene, moves stuff around, forms, deforms, and reforms relations; keeping open the possibility of invention even as it holds certain arrangements in place. 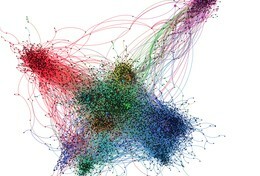 Approaching data in these terms – as an ensemble of frictive relations, or what Gitelman elsewhere calls “potential connections” (172) – is productive in the context of my own project, which will attempt to visualize the relations between changing legal definitions of Nativeness, Indigenous depopulation, and territorial dispossession in Hawai’i. Beginning with friction – emphasizing the “worries, questions, and contests that assert or affirm what should count as data, or which data are good and less reliable, or how much data is enough” (171) – helps me to understand how two relatively similar datasets, such as the 1897 Kū’e Petitions against the Annexation of Hawai’i (see image below) and the Hawaiian Census of 1896, both of which sought to enumerate the Indigenous population of the Hawaiian islands at the close of the 19th Century, are nonetheless quite distinct. Even as they claim the same populations, they marshall those populations differently, producing them as evidence of different phenomena, siphoning them into discontinuous and even oppositional political projects. In the very production of these populations as data, then, friction is produced; the data become freighted, vexed, and fraught, involved in a pitched contest over who will count, why, and to what ends. The process of turning populations into data, in other words, makes things happen. It moves bodies into and out of legibility, arranging them in particular ways; a frictive shifting that has had and continues to have profound (and often deleterious) consequences for Indigenous Hawaiians.